Below is a sampling of articles that have appeared in past issues of Ramblings—the NPT annual resource guide. 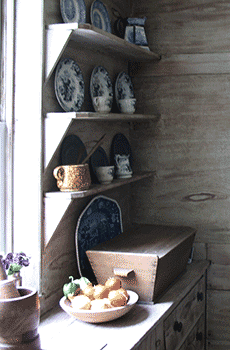 On Saturday, December 3 from 1- 4 pm, the Nantucket Preservation Trust will open a historic home for tours and host a small holiday boutique for unique gift items. Located at 3 North Liberty Street, just minutes from the Pacific National Bank on Main Street, this historic home is best known for it’s most famous owner, Tony Sarg. He and his wife, Bertha, acquired the house in 1920, and owned it for twenty-two years. 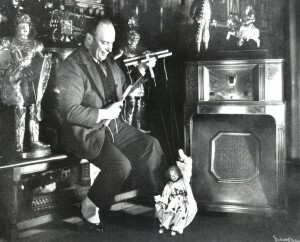 Tony was a well-known illustrator, author, toy-maker, and puppeteer. He designed the first mechanically animated display window for Macy’s Department Store in New York City, and created the first huge hot-air balloons for the store’s annual Thanksgiving Day Parade. The current owners of this home have preserved it’s historic beauty and display many collectors items from Sarg’s prolific career. Trained docents will provide a brochure of the home’s history and point out interesting architectural notes. 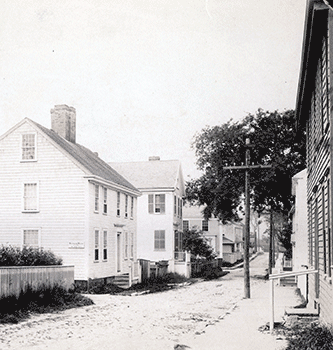 Moving houses on Nantucket is a tradition dating back to the early 1700s when buildings in the original Sherburne settlement were moved to new lots laid out near the Great Harbor. Today houses are still moved often to make way for another structure on a lot, to save them from erosion along the shoreline or to provide for new foundations and/or basements. This winter at least four cottages in the heart of ‘Sconset along Shell and Center Streets will be lifted and a circa 1990s secondary cottage moved to a new location closer to Town. Properties in the Old Historic Districts will be heard in the beginning of each Historic District Commission meeting (Tuesday’s at 5:00 p.m.) starting this month. This is good news for owners of historic properties as well as neighbors and community boards. Residents in the historic core will be able to attend meetings for multiple properties in their neighborhood without having to sit through the entire review meetings. 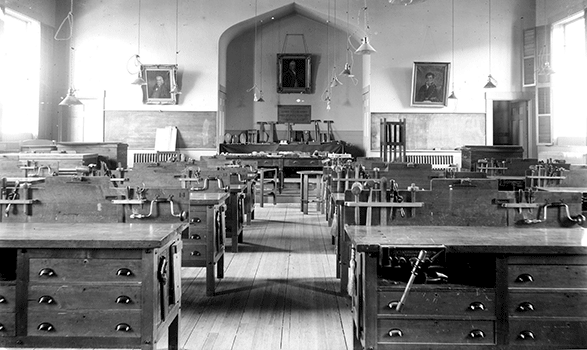 In the past applications were heard according to the time applications were submitted. 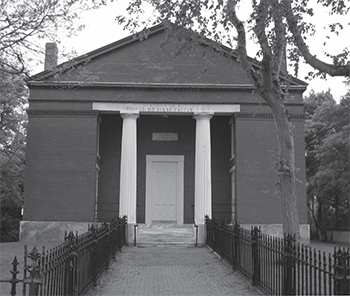 So gone are the days when review of projects affecting historic properties in one neighborhood were heard hours apart. We believe this important step will not only encourage residents to attend the meetings, but also help the commissioners focus much of their discussion on the island’s historic buildings. Laid out in 1678 as the southern boundary of the Wesco Acre Lots, Liberty Street is older than Main Street, which was created by the Proprietors more than thirty years later but did not become widely used until after Straight Wharf was built. 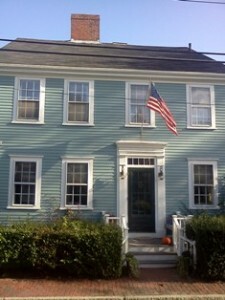 The dwellings on Liberty Street are some of the earliest in town, but among the eighteenthcentury dwellings are a few houses built in the mid-nineteenth century, and even in the 1870s and ’80s, on sites where much older houses once stood. It was the custom on Nantucket in the seventeenth century, and for most of the eighteenth as well, to build houses facing south for the obvious benefit of light and warmth, making the north sides of the parallel streets in the Wesco Acre Lots the preferable house sites. This is certainly true of Liberty Street, where the houses on the north side are generally older than those on the south, which is broken up by the side streets Walnut and Winter. At Liberty Street’s origin on the north side of the Pacific Bank there is little distance from Main Street, and up to Walnut Street there is but one dwelling squeezed behind the Main Street mansions. As Liberty Street heads directly west, Main Street veers slightly southward, creating more expansive lots for those grand houses and providing room enough for dwellings on the south side of Liberty as well. 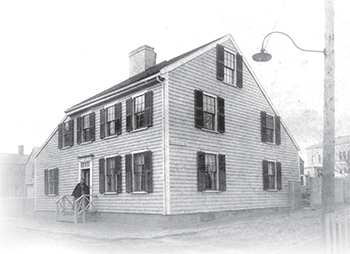 An important house no longer standing on the northeast corner of Winter and Liberty Streets was the home of Walter and Elizabeth Folger and their children, one of Nantucket’s most accomplished and interesting families. Walter (1735–1826) married Elizabeth Starbuck (1738–1821) and they had eight talented offspring, among whom were Walter Folger Jr., inventor and state representative; Phebe, a talented artist and poet who also taught both navigation and needlework; Gideon, who was a whale oil merchant; and Rebecca,whose only surviving son, William C. Folger, became a renowned historian and genealogist. 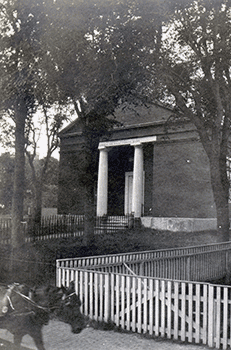 The Folger’s eighteenth-century dwelling was replaced by a new house in the 1830s. An eighteenth-century house belonging to Silas Jones Jr. at 20 Liberty was also removed, and a new house built there in 1885. 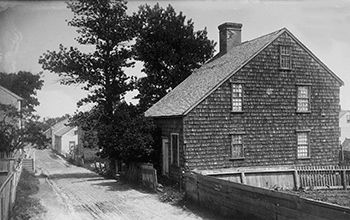 East of Jones’s house was “a small piece of common land next to the claypit.” Henry Barnard Worth, author of Nantucket Lands and Land Owners, confirms that the clay-pit area included Winter Street and land extending about fifty feet west. Perhaps island potters and brickmakers used the clay in the seventeenth and early eighteenth centuries, but there is no evidence of it today.